Introduction: How do you see the world? How do you approach the phenomena of your experience? Most of us tend to assume that the way we see the world is the way the world actually is. At the same time we would probably admit that our perspective of “reality” is historically situated, culturally conditioned, psychologically influenced and linguistically constructed. We each look at the world through a particular lens. I would invite you to consider six historical and cultural lenses through which different people see the world today. Those six lenses are the Primordial, Traditional, Romantic, Modern, Post-Modern, and Trans-Modern. The Question of Identity: At the heart of the matter is the question of identity. “Who am I?”It is one of the easiest ways to understand the real differences between these six ways of seeing the world. 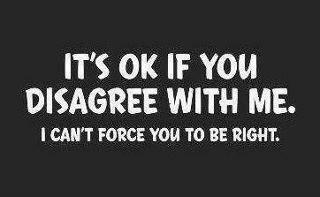 Some people are “purists” who identify almost entirely with one and only one of these approaches. Probably most people today are ambivalent, oscillating and hybrid in the sense that they find something of themselves in each of these six views. Let’s consider each of them in turn. The Romantic says, “I am an embodied soul alive with divine inspiration.” There are many kinds of Romantics, including the Angelic, Idealist, Transcendental, Bohemian, Bucolic, Humanistic, Egoist, Demonic and Revolutionary. All appeal to the ideas of transcendence, nature, greatness, genius, inspiration, creativity, imagination, beauty, subjectivity, passion, freedom, liberty and the arts. The Post-Modernist says, “I am an eclectic, ironic, rhetorical, polymorphic, pluralistic pragmatist.” There is no Grand Narrative or Theory of Everything, only an ever-expanding plurality of incommensurable relative perspectives. The technologically mediated society presents us with a bewildering array of historically contingent, culturally situated and linguistically constructed ways of perceiving experience, interpreting knowledge and making meaning. We simply learn to be polymorphic and multi-lingual, speaking many different languages and dialects that are useful and meaningful within different cultural contexts and hermeneutical communities. For the post-modernist the “self” is radically de-centered in a pluralist multi-verse. Integration, synthesis and conciliation are no longer an option, so we embrace our ambiguous and perplexing situation through the use of rhetorical irony and eclectic play among a variety of symbols, myths, ideas, theories, narratives, rituals, artifacts and language games that some groups take for granted as their final vocabularies. The Trans-Modernist says, “I am a culturally creative globally emergent integrative pluralist. I seek to make connections between all epistemological ways of knowing, all ontological levels of being, and all cultural stages of evolutionary development.” Trans-Modernists attempt to affirm, critique, and transcend the Traditional, Modernist and Post-Modernist frameworks or perspectives. For Trans-Modernists “truth” is simultaneously Received (Tradition), Illumined (Romanticism), Discovered (Modernity), Constructed (Post-Modernism), and Connected (Trans-Modernism). The idea here is that everyone is “partly right” and that “everybody wins” – sort of. A plurality of views are integrated through “making connections” between different epistemological domains, ontological levels and evolutionary stages. 2: What kinds of tensions and conflicts might we expect between Primordialists, Traditionalists, Romantics, Modernists, Post-Modernists, and Trans-Modernists? 3: What major challenges and opportunities do we face in today’s pluralist society and global age? How might these six ways of seeing the world help or hinder us in responding to those challenges and opportunities? What could they learn from each other? One day for no apparent reason someone began to compose and perform music in the Key of D Major. The music police in the Land of C Major were frightened and appalled. Soon there was a public outcry as the composer was told to keep his “unnatural music” to himself. When he persisted in playing his music at the “clubs” where the bohemian deviants hung out the authorities decided to have him arrested and his music banished. Eventually they decided to have it publicly burned to make a point. But the more the music police protested this “unnatural music” the more the general public became curious to understand what all the fuss was about. But then something else happened. Some deviant started composing and performing music in a Minor Key. 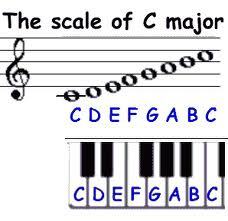 It happened to be C Minor, but there was even more ruckus over this than there had been in the change from C Major to D Major. Minor Keys were strictly forbidden. The “music police” decided that these Minor Keys were were not only “unnatural” but “morbid, sick and depressing.” Some even blamed violence, crime, madness and suicide on the Minor Keys. But in spite of these serious accusations, others soon joined in composing and playing music in the Minor Keys. But soon music in the Minor Keys was being composed and performed all over the world and in various genre, including symphonic music. After a period of censorship the general public got used to hearing music in all the Major and Minor Keys. The common view now was that the variety of Major and Minor Keys served to enrich and expand the ecology of musical creativity and appreciation. In reaction to these reactionaries, others tried to banish the Key of C Major altogether, insisting that only music in the other Keys, especially the Minor Keys, along with the music that broke with the diatonic scale were now relevant and up-to-date. But it was even decided by some that unresolved dissonance was merely a “half-way measure” and that “real music of the future” must become one of fearless anarchy and cacophony. Only in this way could the point be made that music has no meaning and that it ought to mirror the meaningless chaos and futility of existence. Eventually the general public stopped listening to the “serious music.” It expressed more “reality” than they could bear. Some even returned to just listening to music in the Key of C. And so it goes. To what extent are we able to encompass and comprehend the Supreme Reality with our finite human minds? What if the Supreme Reality is an infinite and ever-expanding horizon? If the finite cannot encompass and comprehend the infinite, except perhaps in some tangential or partial way, how does this influence our perception of the encompassing and comprehensive? With what “singular unitive frame”,”multiple pluralistic frames” or “overlapping integrative frame” of knowledge and experience are we to employ in order to symbolize, evoke and represent what we perceive to be the fundamental nature of reality? For centuries human beings have created “cosmogonies”, that is, mental maps, models and paradigms to symbolize, evoke, express and represent what they conceive to be the ultimate and supreme reality. The impulse to envision, grasp, discover and express the Supreme Reality, what philosopher Karl Jaspers calls the Comprehensive and Encompassing, seems to be innate in human nature. In attempting to envision, grasp, discover and express the Supreme Reality, ought we to rely primarily upon the Inductive Language of Empirical Science, the Deductive Language of Rational Philosophy, or the Chronological Event-Driven Language of History, or all three? What “epistemological status and explanatory role”, if any, ought we to grant the Symbolic, Archetypal, Metaphorical, Analogical, Parabolic, Dialogical, Narrative, Emotive, Aesthetic and Ethical ways of knowing and being? What attention ought we to pay, of any, to the primal, elliptical , intuitive and evocative “languages” that may include Revelation, Illumination, Vision, Dream, Epiphany, Theophany, Music, Art, Symbol, Ritual, Poetry, Myth, Parable, Narrative, Drama and the Arts? Temperamental predisposition and epistemological preference will strongly influence which of these “ways of knowing and being” we choose to privilege as we inquire into the nature of the Supreme Reality of “What Is.” Just as there is “no way of accounting for taste,” so there may also be no way of accounting for psychological differences and epistemological preferences. There are two books in my library by authors with very different casts of mind but that I think should be read back-to-back. The first of these books is Three Philosophical Poets: Lucretius (the naturalist), Dante (the transcendentalist), and Goethe (the humanist), by George Santayana. The second of these books is The Cosmotheandric Experience: Emerging Religious Consciousness, by Raimon Panikkar. Santayana is a scientific and empirical naturalist, an aesthetic and sacramental Roman Catholic, and a philosophical and literary humanist — with a love for the arts, learning, imagination and culture. He recognizes a dialectical tension between the naturalistic, spiritual and humanistic aspects of his own complex identity, but he believes it is the creative task of future “philosophical poets” will be to fuse these three horizons of meaning. His intellectual and cultural sensibilities are more European and American. Panikkar famously remarked, “I left as a Christian, found myself as a Hindu, and returned as a Buddhist, and that without ceasing to be a Christian.” Throughout his scholarly career he distinguished himself as an articulate voice for “deep ecumenism” and “dialogical dialogue” not only between the world’s religions but also between religious, secular, humanistic and spiritual perspectives on life. He envisions them as differentiated yet overlapping and mutually corrective perspectives rather than mutually oppositional and antagonistic. His approach is radically different from the “dualistic” mode of public discourse on science, art, philosophy, and religion that is common enough in today’s world. Panikkar differentiates and integrate the various horizons of human knowledge and experience, combining introspection and observation, because he is not an “absolutist” or “literalist” about religion, science, or philosophy. But neither is he a “post-modern relativistic ironist.” His approach is relational and dialogical, valuing both the tacit and explicit ways of knowing, much like Michael Polanyi, author of Personal Knowledge and The Tacit Dimension. His epistemology cares about “Truth”. For Panikkar the search for “encompassing truth” about the phenomena of experience and the acquisition of knowledge must take into account both the contents of introspection and observation, intuition and sensation, emotion and cognition, participation and detachment, intimacy and grandeur, perception and judgment. In addition to The Cosmotheandric Experience, his other books include The Experience of God: Icons of the Mystery; The Unknown Christ of Hinduism; The Trinity and World Religions; The Vedic Experience; Invisible Harmony; and Cultural Disarmament: The Way of Peace. Throughout all his writings Panikkar seeks to simultaneously differentiate and integrate the Cosmic, Human and Transcendental dimensions of reality. He sees no need for a “culture war” between science and religion, and views such conflicts as largely rooted in misunderstandings and “reifications” concerning both the nature of science and the nature of religion. “It is just possible that we are at the beginning of a fourth stage (of human historical evolution beyond the three stages of local pre-literate, classical and text-based reasoning, and informed critical inquiry) of a truly global consilience among many different cultures, and among religion, the humanities, and science…. “If religion is fully humanized and open to the critical methods and established truths of the sciences, and if science is used in the service of human welfare and the flourishing of all sentient beings, there can be a long and positive future for human life and for whatever forms of life may develop from it. That is only likely to occur if scientists and religious believers engage in serious, sensitive, and enquiring conversation. For that to happen, both fundamentalist religion and fundamentalist atheism will have to be set aside in favor of something more self-critical and humane. If that does happen, religion will not disappear, but it may, and it should, change.” Of course so will science continue to change as well. Some writers and thinkers who engage the three frames of Nature, Humanity and Spirit will believe they have good reasons and strong evidences for preferring to reduce both Human Beings and Transcendent Spirit to “epiphenomenon” of Nature, which they conceive as being exclusively immanent and physical. They therefore employ the strategies of “reductionism” (of mind to matter), elimination (of mind as “the ghost in the machine”) and “strong emergence” from primally lifeless and mindless matter to the spontaneous and contingent emergence of both life and mind. Others will believe they have good reasons and strong evidences for preferring to conceive of both Nature and Human Beings as either Free Creations or Necessary Emanations of Spirit. Western “theistic” religions tend toward the idea of “free creation” while eastern “pantheistic” and “acosmic” religions tend toward the idea of necessary emanation of Transcendental Mind or Universal Spirit. Still others believe they ahave good reasons and strong evidences for preferring to envision the Supreme Reality as Divided between the Realms of Spirit and Matter. This world view we call metaphysical or ontological dualism. Epistemological dualists believe that we know “the really real” in two ways that are related to these two realms of Spirit and Matter. We know the spiritual reality through the methods of illumination and intuition, introspection and contemplation. We know the natural reality through the methods of empirical science. Still others will believe they have good reasons and strong evidences for preferring to envision Human Beings as a “dialectical tension and creative synthesis” between the dimensions of Invisible Spirit and Visible Nature, of eternal essence and temporal existence. They will regard Mind and Matter as mutally causal, although some who hold this middle view will tilt toward the primacy of Mind while others will tilt toward the primacy of Matter. Perhaps this is what Pascal had in mind when he said that “man is the glory and the scum of the universe.” We seem to possess two natures in one. Mind and Matter may not be dual realities so much as a single reality with two aspects, “the implicit order” and “the explicit order” as David Bohm put it. “Panpsychism”, “process pan-experientialism”, “neutral monism”, “dual-aspect idealism” and “non-materialist physicalism” are all associated with this integral view that seeks to stand mid-way between the worldviews of Idealism and Materialism but without splitting into Cartesian Dualism. In his books The Big Questions in Science and Religion, and again in More than Matter: Is There More to Life than molecules? Keith Ward summarizes each of these interpretative perspectives. His own orientation seems to a complex blend of “dual-aspect idealism” and “open or process theism”, but he offers a generally fair and informed treatment of other perspectives, including those like “materialism” with which he disagrees. Being something of a “sober realist” about human nature and the prospects for the human future, I don’t expect to see a new breed of philosophical poets and transcendental humanists “set aside” the polarities between “religious fundamentalists” and “atheistic fundamentalists” any time soon, for each of these is having way “too much fun” demonizing, dehumanizing and ridiculing the other. If Chris Hedges, author of When Atheism Becomes a Religion, is right when he says that “war is a cause that gives life meaning,” then it is also surekt true that engaging in “culture wars” must also give life meaning…at least for some folks who need “enemies” to conquer and vanquish. One of the paradoxes is that the more they violently oppose and attack each other in their mutually exclusive objectivist and literalist ideologies that more similar they appear to those on the outside. A relational and dialogical epistemology and methodology that honors both the Tacit and Explicit dimensions of reality and ways of knowing has a different orientation than either pre-modern religious dogmatists, the modern scientific objectivists, and the post-modern ironic subjectivists. 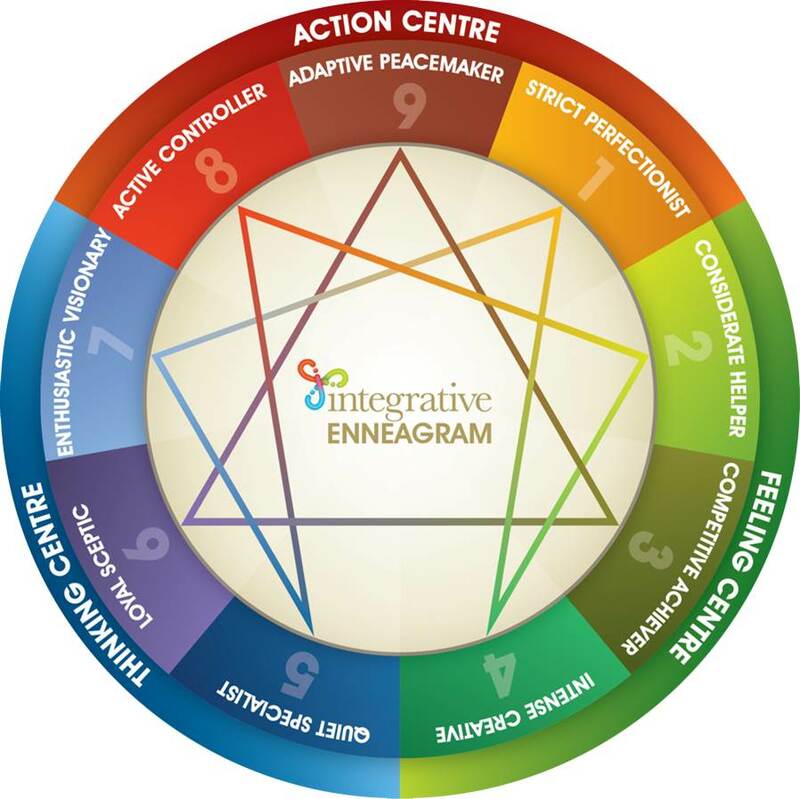 Countless books have been written about the Enneagram that explore the hidden dynamics between nine personality styles and approaches to life. At one time I collected a small library of such books, though I see that now in the process of “downsizing” for retirement only two remain: The Wisdom of the Enneagram, by Don Richard Riso and Russ Hudson, and The Enneagram Spectrum of Personality Styles. Though her book has slipped from my library, I really like the pioneering work of Helen Palmer. I’m not going to try to give a lesson on the Enneagram in this blog. There are many good sources for learning about it, including the WWW. What I want to say is simply this, that the Enneagram offers integral values for living. I’ll have more to say about this in a minute. But first I want to make an important point. 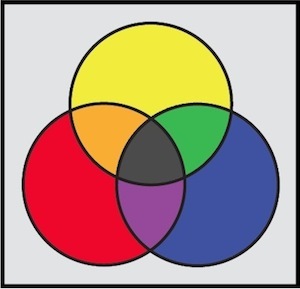 None of the nine points of the Enneagram is meant to stand along in contrast to all others. As we grow in complexity toward wholeness and maturity we expand our human repertoire. We learn to cultivate more of the nine points rather than remain singularly “stuck” or obsessively “fixated” in just one. Those who teach “Enneagram Determinism” think they are freeing others from expectations by telling them to “just be who you are.” There is a truth in this, but there is also something limiting in the notion that your “soul” was born, must live, and will die in one and only one of the nine Enneagram points or personality styles. Each point represents not only a personality style but also an epistemological perspective, that is, a way of seeing and knowing. It also represents a metaphysical orientation, that is, what we believe to be most real and important in the nature of things. To change and grow toward the wholeness of maturity is to expand both our metaphysical and epistemological horizons. This idea is implicit in the Enneagram teaching that we have “wing” whereby we are able to encompass other adjacent points. Implicit in our psychological preferences are core values that shape our lives. To grow in maturity toward unity and wholeness of being is to combine multiple perspectives. It is to cultivate what Karl Jaspers calls the Encompassing and comprehensive. This approach transcends polarizing dichotomies between various life-enhancing values. The integration of values for living is, quite simply, the way to wisdom. In perusing my personal library recently it occurred to me that my books could easily be classified by “The Four Cultures.” These are the four cultures of the Empiricists, Theorists, Literati and the Artists. All four of these intellectual and creative cultures matter! Together they constitute “the idea of the university,” a concept that John Henry Newman articulated in his classic text of that title. 2. The Culture of the Theorists is different from the Culture of Empiricists, though the two cultures often work together. Theorists don’t just want to understand “how things work” in the factual, numerical, measurable and mechanical sense of the word. They are looking for the hidden dynamics, the underlying laws, and the interactive patterns that explain differences and attitudes and behaviors. They are analytical “systems thinkers” rather than simply empirical observers of “physical properties.” Every domain of knowledge has its “system thinkers” who construct maps of reality, cosmos, consciousness and culture. My library is full of such books. These include such books as Maps of the Mind; A Brief Theory of Everything: Spiral Dynamics; Generations; The Passion of the Western Mind; Please Understand Me; The Enneagram; Awakening the Heroes Within; Frames of Mind: The Theory of Multiple Intelligences; Theories and Practices of Counseling and Psychotherapy; Ways of Wisdom; King, Warrior, Magician, Lover; Habits of the Heart; and At the Edge of History, to name a few. What those who dwell primarily in the Culture of Theorists care about are ideas, concepts, principles, maps, models and paradigms. Again, these various conceptual perspectives may be viewed as dualistic, dialectical or symbiotic, that is, as oppositional, frictional, or integrative. One of the dangers for those who live primarily in the Culture of Theorists is the tendency to forget that “the map is not the territory.” When we forget this we become militant and tight-fisted ideologues with doctrinaire and inflexible ideas. 3. The Culture of Literati is different from both the Culture of Empiricists and the Culture of Theorists, though some Literati are not hostile or indifferent toward Empiricists and Theorists. Lyrically and poetically sensitive “nature and science writers” along with “philosophical novelists” are able to combine the literary sensibility with either science or philosophy. But other literati who write novels, short stories, lyric essays, literary criticism, poems and plays are not primarily concerned with either the Culture of Empiricists or the Culture of Theorists. They are Story-Tellers and Myth-Makers who revel in the “thick” language of creative fiction, imagination, analogies and metaphors. They care about evocative settings, vivid characters, and dramatic events. To those whose natural style and mode of discourse is imaginative narrative, the factual idiom of science and the theoretical idiom of philosophy may seem dull and prosaic by comparison. Each culture has its prejudice. 4. The Culture of Artists is different from the Cultures of Empiricists, Theorists and Literati, though once again there may be “elective affinities” between any of them. When we think of artists what first comes to mind are painters and musicians, but most people also include creative writers as well. Again, it is not uncommon to find that painters, musicians and creative writers enjoy hanging out together and gaining inspiration from each other’s work. In the more narrow sense of the word, an “artist” uses the medium of images and sounds, that is, painting and music to express intense emotions and visionary imagination without a primary dependence of words, whether scientific or philosophical, or even literary and fictional. Even still, the lines of distinction between the four cultures are hardly cut-and-dried. Some painters and musicians are deeply interested on conversations with the creative literati. Some are interested in the discoveries of scientists and the theories of philosophers as well. We need educated specialists who are able to make their contributions within particular cultural domains. At the same time, there is also a place for the educated generalist or interdisciplinary polymath who is able to cultivate a breadth of interest and competence in each of the Four Cultures. Of course we can speak of other “cultures” that influence and shape our society and world. All of the Trades, Technologies, Enterprises and Professions create their own cultures, and we would be foolish not to pay attention to them. Yet it is our Scientists, Philosophers, Literati and Artists who are at the heart of “the Idea of the University.” The concept of the university has roots in both the Renaissance and Enlightenment traditions. It’s purpose is to be a community of scholars, a place of “higher learning” that is animated by an intrinsic love of wisdom (Renaissance) and knowledge (Enlightenment) for its own sake rather than for instrumental purposes and utilitarian gain. Of course “liberal arts education” had implications for the practical affairs of living and working, but its primary interest is not monetary or commercial. As with most things the actual practice of higher education often falls short of the ideal vision. But it is a vision worth preserving and renewing from generation to generation. The idea of the university never has been primarily about “job creation,” popular as that instrumental idea has become today. It has been about the collaborative effort to cultivate highly developed human beings who aspire to master a vital domain of knowledge and eventually to contribute as thought-leaders, creative innovators and cultural trustees through their livelihoods and vocations. It has been about “the freedom of the creative self to expand the mind’s consciousness” of reality in all its rich and complex diversity. Unless we are content to create a mindless society of technological wizards and intellectual imbeciles, we need the University as a “community of scholars” to recover its true and noble vocation. We need a diversity of Scientists, Philosophers, Literati and Artists at the heart of the university to come together as the Four Cultures. We need them to engage in critical reflection and constructive dialogue (1) with each another and with their students, (2) with those employed in Trades, Technologies, Businesses and Professions, and (3) with the general public and civic leaders. We need those who have become knowledgeable and fluent within the Four Cultures to help us engage the perennial questions of life and the momentous challenges we face in our pluralist society and global age. Ever since I was a youth I have been passionately drawn music, all kinds of music, including jazz, blues, soul, folk, rock, pop or world music, but especially symphonic and sacred music. I’m drawn to all the great music, whether the era is medieval, renaissance, baroque, classical, romantic, modern or contemporary. Great music has profound things to say about the human spirit and the experience of life. The philosopher Kant and others of his generation wrote about “the beautiful and the sublime.” For me it is music of all the arts that most perfectly expresses the sacred and profound depths of the beautiful and the sublime. Kant’s philosophy has been called “transcendental idealism,” and even without further elaboration it is fair to say that for millions of human beings the experience of listening to the world’s great music continues to “transport” them into a timeless realm of transcendent joy. My life-long romance with music, especially classical and sacred music, began early. As a young boy of five while living with my Pentecostal grandparents in Southern California I mostly heard Southern Gospel music sung in the home. It was belted out with great passion and conviction by the members of my grand parents’ large extended family – four grown sons and four grown daughters, and their kids. My grandmother Nellie was very musical. She played the piano by ear and has a natural aptitude for writing lovely poetry. I remember how they would sing “When the Roll is Called Up Yonder I’ll Be There” and other Gospel favorites. Later at the age of nine I was introduced to classical music by my step-father George. I will never forget the first time I heard a recording of Tchaikovsky’s 1812 overture. I could hardly believe that such grand and heroic music could exist in the world. I wanted to listen to everything that Tchaikovsky ever composed. His music opened my mind to the ineffable and the sublime as nothing else I had yet experienced. Then in my freshman year of high school I enrolled in a Classical Music Appreciation class. The instructor was a master-teacher, passionate about music and a true friend to his students. My most vivid memory of that classroom experience was listen to Grieg’s Peer Gynt Suite and being mesmerized by it. Now I was “hooked on classics” for life. Of course I went to explore the “great works” of the musical masters, including Bach, Handel, Mozart, Haydn, Beethoven, Brahms, Chopin, Debussy, Respighi, Mussorgsky, Rachmaninoff, Stravinsky, and all the rest. Even to hear their names spoken aloud fills me with quiet joy. I began to have a hunch that the masters of classical music, though as conflicted and perplexed about life as the rest of us, but perhaps they saw and knew things under the influence of inspiration that most of us only glimpse in fleeting moments. Or perhaps they were the conduits of a transcendental reality, even when they themselves had no idea what they were doing. I’m one of those persons who is blessed (or cursed?) with what is called “musicophilia”, but it’s different for me than for Oliver Sacks who writes about “Music and the Brain.” While I’m interested in the neurological and cognitive aspects of music, my deeper fascination is more aesthetic, affective, intuitive, therapeutic and transcendental. Music can be understood and appreciated on multiple levels. My interest is not primarily mathematical, scientific and technical, that is, “from the outside in” but rather “from the inside out.” I’m interested in “what if feels like” and “what it evokes” in us psychologically and spiritually to be awakened and moved by the power of music. Of course both the scientific and therapeutic approaches to music are valid, but the latter approach is what attracted me to music in the first place. To reduce “music” to “mathematics” and “sublime visions of transcendence” to “the technology of organized sound” is to conflate the levels of our natural and human existence. It is to overlook an essential element, the immediate experience of qualia or inwardness, what it actually feels like “from the inside out” to be transported by music to realms ineffable. On the other hand, I can appreciate that there are those who feel as passionately about mathematics as I do about music. Many researchers and scholars have pointed out the mental affinities between mathematics and music. At the same time it seems clear that a passion for mathematics and a passion for music can each exist without the company of the other. Some individuals are endowed with and cultivated a combined left-brain and right brain aptitude for both math ematics and music. It’s more complex than just left brain or right brain, but brain hemisphere dominance sure plays a part in it. 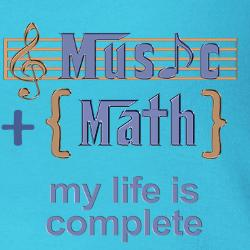 For some people Music and Math are the supreme joys of life. Nothing could be more perfect. While some people combine a love of both Mathematics and Music, they remain different kinds of intelligences. I would say that they represent different elective affinities, that they express two kinds of innate sensibilities that have their roots in different “epistemological intuitions” or foundational assumptions about how we know and experience the “really real.” Some people prefer to place their “fundamental trust” in mathematics as the bedrock of all reality, including the physical, natural, cognitive and social sciences, as well as philosophy, religion, literature and the arts. For them mathematics is the Rosetta Stone, the key to all knowledge. Other people prefer to place their “fundamental trust” in musical intelligence, often alongside artistic, poetic, literary and dramaturgic forms of intelligence, as “privileged disclosures” of the sacred depths of reality that not even mathematics can adequately grasp or express. While a polarization between these two ways of “seeing”, “perceiving”, “judging” and “knowing” will appear ridiculous and unnecessary to most of us, there are some who insist that it’s a zero-sum game. For them one can only be “pro-mathematics” or “pro-music.” This issue comes to the foreground where there are debates and decisions to be made about funding public education. Today in our society Math, Science and Technology are the big winners where funding is concerned, and Music, along with the Humanities and the Arts are the big losers. Sparta wins. Athens loses. Math and Music: These two do represent two different casts of mind, but they not incompatible with each other. After all, there are many who attempt to cultivate a “whole-brain” approach to human intelligences, an approach that integrates both the mathematical and musical, the scientific and the artistic, the analytical and the aesthetic, the objectively detached and the subjectively participatory ways of knowing and being. It is surely possible to do this without either separating or conflating them. So here’s to both Mathematics and Music, two elective affinities. May they both live long and prosper! Why Do Intelligent & Knowledgeable People Disagree? Why do highly intelligent and knowledgeable people have fundamental disagreements about nearly everything — including their views on economics, politics, arts, sciences, philosophy and religion? One can also see this drama played out if one reads books or watches debates in which highly intelligence and knowledgeable representatives of different philosophical worldviews or social ideologies engage in a vigorous exchange of ideas and beliefs. The Dialogues of Plato are the classical example of friendly but vigorous intellectual dialogue between philosophical friends with different worldview perspectives. Would that all “dialogues” were so eloquent and congenial. Many of us have witnessed some form of intellectual dialogue and debate on various occasions, or read widely divergent points of views in various books we have read. Again, how do we explain these differences in viewpoints? A tough-minded rational objectivist might explain the differences between their views as ultimately due to either the lack of general or specialized knowledge and/or the inferior intelligence of his well-meaning and poorly informed and illogical opponent. A third approach might attribute their fundamental differences to a combination of psychological predispositions and philosophical presuppositions, neither of which is very amenable to strictly rational arguments and scientific evidences since these can be interpreted and construed to support different psychological sensibilities and philosophical orientations. Materialists believe that the physical world alone is primal or real, the world according to physics, chemistry, botany and biology. Idealists believe that mind or consciousness is primal and supremely real. There are different kinds of Idealists: Absolute Idealists, Transcendental Idealists, Evolutionary Process Idealists, and Pluralistic Idealists, among others. Of course there are also Moral Idealists who are more concerned with ethical values more than with metaphysical reality. Dualists believe that mind and matter are separate from each other and are both real. Descartes is regarded as the father of modern philosophical dualism. Panpsychists (along with dual-aspect monists, neutral monists, and process philosophers) believe that mind and matter are rooted in a common “stuff” that is co-arising and integral to cosmic, geological, biological, noetic and cultural evolution. Agnostics believe that they don’t know and perhaps can’t know what is the fundamental nature of prime reality. Ignostics (along with linguistic and ordinary-language philosopher) believe that it is pointless to ask the question about the fundamental nature of reality since all philosophical questions are meaningless linguistic mistakes, mere reifications of abstractions and language games that are rationally undecidable but pragmatically useful as functional tools in different cultural contexts. I’ve also learned that there are some philosophers who prefer to construct hybrid worldviews that combine aspects of the above options. In his book, More than Matter, Keith Ward explores the major worldview perspectives and then presents his own rational preference which is a combination of idealism and dualism, or more precisely, pluralistic idealism and dual aspect monism. Much of his book is a critical response to both reductive and eliminative forms of materialism and to linguistic philosophy’s “ordinary-language” ignosticism or indifferentism. No one who has read Keith Ward’s many books can doubt that he is a serious and well-read philosopher who is in touch with all the major philosophical options. He is especially interested in fostering a critically reflective and constructive relationship between the domains of philosophy, science and religion. Part of the appeal of reading Keith Ward is that he is fair and good-humored in his treatment of views with which he most strongly disagrees. Also, he is disarmingly honest in acknowledging his own “internal critic” that continually questions everything he believes as well as what others believe. There is nothing dogmatic in his approach. His approach is more open-ended and provisional as in “This is what I believe to be true to the best of my knowledge.” He is always aware that human finitude limits our knowledge when it comes to questions of prime reality and ultimate concern. Let me return to the question with which I began? Why do highly intelligent and knowledgeable people disagree in their assumptions and beliefs about the nature of reality and about the most fundamental questions that human beings ask themselves? Do you believe that their differences can be finally resolved before the bar of critical reason and empirical science? Do you believe that some people are simply too dull and ignorant to ever have a clear knowledge and understanding of anything important? Do you believe that the fundamental differences in beliefs are due to early childhood traumas and poor object relations? Do you believe that our differences in beliefs are the primarily the result of different psychological temperaments and socially constructed identities that predispose us toward adopting philosophical assumptions and beliefs that correlate with these psychological and sociological influences? Do you believe that our differences in foundational beliefs are primarily the contingent and deterministic products of nature and nurture, or that they are the result free-will, rational knowledge, moral imagination and existential choice? Finally, how do we live together in a pluralistic society and global age of “the saturated self” where we are daily exposed to a competing plethora of different assumptions, beliefs, values and commitments that come from all directions and that intersect each other in such ways as to create “hybrid identities” and “eclectic communities” that our grand parents and even our parents would never have dreamed of? We live in a chaotic yet creative age when the pre-modern traditional religious sacramental-symbolic self, the modern secular rational-empirical self, the post-modern poly-centric, eclectic self, and the trans-modern integral-pluralist self have all taken the stage together. Each speaks its own language and has created it own forms of tradition and authority, its own hermeneutical circle and community of practice. What happens to metaphysics when the worldviews of dualism, materialism, idealism and panpsychism, along with the anti-worldviews of linguistic philosophy and pragmatic ironism become “quantum entangled” with each other? We live in a paradoxical age when some people want to drive the wedge deeper between the various worldview perspectives while others want to bring them more closely together. What happens in political philosophy when the ideologies of Traditionalism, Progressivism, Libertarianism, Communitarianism, along with Radical Centrism and Principled Pragmatism become “quantum entangled” with each other? What is true in metaphysics is also true in political philosophy. Some people want to drive the wedge deeper until all we have left are the ideological polarities of the Tea Party and the Occupy Movement. The Moderate Right and the Moderate Left want to bring the Traditional and the Progressive impulses closer together in stable managerial and bureaucratic governance. However, Moderates on both sides of the political divide are “insiders” to power and influence. They are often deaf and indifferent to the primary concerns of the “outsiders” that is, the Entrepreneurial Libertarians and the Ecological Communitarians. 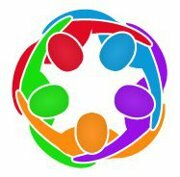 The pragmatic question of how we live together across our differences — religiously, philosophically, educationally, culturally, economically and politically — in a pluralist society and global age is one of the great challenges of our time. We need a deeper and more dialogical understanding of the various possible reasons why highly intelligent and knowledgable persons can disagree, and of how we can live together and affirm our common humanity in the midst of our real and irreducible differences.